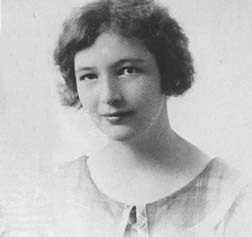 Helen Margaret Lewis was born on 3 February 1909 in Kalamazoo, Kalamazoo, MI to Charles B. and Frances Mabel (Frielink) Lewis. They named her after their mothers. She was a graduate of Central High School in Kalamazoo, where she had been a member of the mandolin and German clubs. 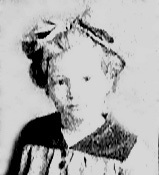 Helen’s only biological child, Rosemarie Schulte, was born 28 August 1929 and given up for adoption. When Helen’s youngest brother’s wife died of cancer, he moved his three young daughters to a home around the corner from Helen and her husband, John, in Portage. She became a mother to them and grandmother to their children. 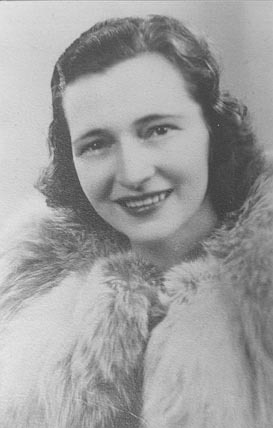 Helen married Arthur A. Wiers, son of Ben Wiers and Bertha R. Smith, on 5 June 1943. Jack and Adelaide (Wiers) Christensen were witnesses. 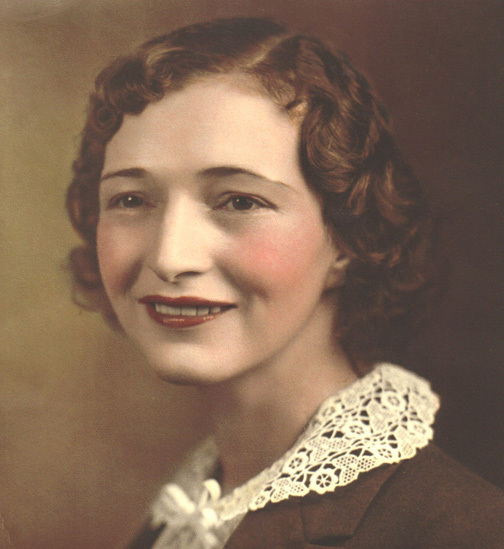 On 21 June 1945 Helen received head injuries and cuts when she was struck by a car at the intersection of Burdick and Lovell streets in Kalamazoo and was taken to Bronson Hospital. Her father died later that day at Borgess Hospital. While working at Allied Paper Mill, Helen caught the eye of John Gouderjan (pronounced God-er-jan). 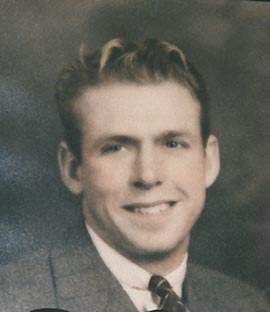 Helen married John Andrew Gouderjan, son of George Gouderjan and Minnie Haan, on 30 August 1946 in Kalamazoo. Her brother, Robert Steven Lewis, and John's sister, Anne, were witnesses. 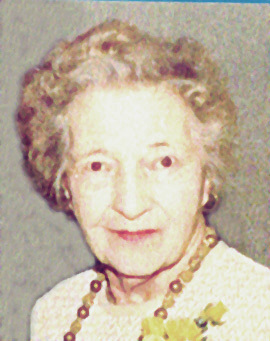 In later years, Helen did some nursing at the Upjohn Nursing Home in Kalamazoo. The personal concern and love their beautiful Aunt Helen showed her nieces and nephews endeared her to them. Helen's nephew, Art Jr., recalled one Sunday dinner when he and his brother, Wes, placed a big bucket under the dining room table, proceeded to request glass after glass of water from a very busy Helen and then dumped the water in the bucket as soon as she returned to dinner duties. Helen took it all in stride. She also cared for her ailing parents in their retirement years. Helen was an expert gardener who enjoyed growing hybrid tea roses for which she won many awards. After John died accidentally at their home, Helen moved to Hilton Head Island to live near a niece in a comfortable assisted living apartment, part of the tranquil setting of The Seabrook. Many family members made the trip there to visit with her. 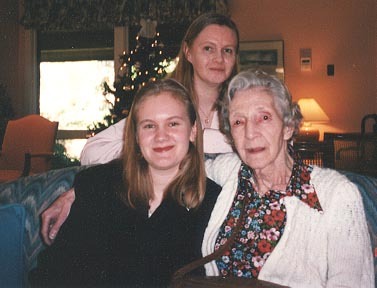 It was where Rosemarie’s two oldest daughters and grand-daughter Jill met Grandma Helen just after Christmas in 1995. Helen had broken her hip in the spring of 1996 and was recovering well from surgery, getting around with the use of a walker by that summer. 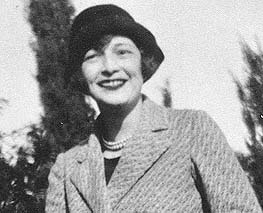 But Helen was a frail woman and died on Good Friday,28 March 1997, at age 88, due to heart disease. After a memorial service in Kalamazoo, Helen was buried on 21 June 1997 next to John in Mt. Ever-Rest Cemetery. Their combined headstone is engraved with bronze roses.